There are a few animal charities in Tenerife that are quite high profile and some others not so well known. Here's a list of as many as I could find. Possibly the most well-known animal charity in Tenerife, this sanctuary, formed in 1993, is based near the area of Las Charifas, which is roughly halfway between the southern resorts and the south airport. It is the one we obtained our dog, Max, from and they take in all abandoned animals. Run entirely by volunteers, the organisation survives on charitable donations and is an official Spanish Registered Charity. Recently, K9 has become affiliated to the UK's RSPCA. The charity holds many fundraising events, such as car boot sales and dinner dances and has collection boxes placed in many bars. Exit the TF-1 motorway at the Las Chafiras/San Miguel junction and take the road towards San Miguel. After passing a selection of shops and bars on your right, you'll see ahead that the road bends to the left. Just before this, there's a B road branching off to the right. Take this - and keep going. The road, for a time, passes through high walls on either side. When it opens out again, you'll see a weird, triangular-shaped hill up ahead. You're not far at this point. Look very carefully for some white, box-shaped buildings on the right, partially obscured by trees. This is K9 and there's a small layby directly opposite where you can park your car. This is another high-profile animal charity, operating frequent fundraising events throughout the island. Founded in 2000, the charity had, for many years, a pet refuge. This is no longer the case and, nowadays, Live Arico helps animals by operating two charity shops, one in Los Cristianos, the other in the San Eugenio area of Playa de Las Americas. There is an upsetting story currently attached to this animal sanctuary. Dingo Dogs was originally started in the early 90s by a man who was as close to a guardian angel as any dog could want, Phil Nelson. He decided to rescue a dog that had ended up in the police pound in Arona, after a stray animal clear-up. As this dog had no owner, it would have eventually have been put down and Phil took steps to prevent that. Trouble was, it involved raising the ridiculous sum of 30 million pesetas to secure the dog's release - but Phil set about fundraising with a vengeance. He succeeded in raising the money and the dog, named "Dingo", was released into his care and stayed as his companion, living a happy, contented life until it died in 2007. Phil then went on to found Dingo Dogs of Tenerife, a charitable institution that looked after up to 65 dogs. He had a plot of land near Guia de Isora. This is where the story takes a distressing turn. In July, 2009, Phil and his dogs were suddenly evicted from their premises. The animals were taken initially to a cramped goat pen that had hardly any shade, no water and no food, resulting in one dog dying within 30 minutes. Eugenio, from Live Arico, stepped in to assist in resolving this scandalous situation and his sanctuary took in some of the dogs. A finca was also arranged as a temporary measure. At the moment, Phil's Dingo Dogs has no official home and, apparently, his website is no more too. This is the Tenerife branch of a German organisation called, in full,Aktiontier - Menschen Für Tiere, or "Animal Action - People for Animals". It was opened in 2003, based in the revolutionary Ecological Village built by the Instituto de Energias Renovables Tecnologicos, or "ITER". This village, which is claimed to be 100% ecologically sound, is found just off the TF-1 motorway, north of the Aeropuerto Sur, towards the sea, where you can see all the wind turbines. Presently, the centre is run by Marion Gonzalez and is equipped with modern kennels, a play area and a veterinary surgery. Marion encourages group visits to her centre, particularly children, where they can be educated in canine welfare and the workings of the organisation. As the centre is German-run, it is a primary aim to rehouse dogs with loving families in Germany and the company is continually on the look-out for volunteers to accompany an animal on its flight to that country. You leave the TF-1 motorway at the sign saying "pol. industrial Granadilla - Acceso A y B". The road takes you to a roundabout, where you take the first exit. You're now approaching the wind farm, with all the large, white turbines. A second roundabout appears, when you, once again, take the first exit. Follow the road round and you'll eventually arrive at a barrier across the road, and a sign for ITER. The Acción del Sol centre is off to your right about 100 metres along a track. Short for Manos Amigas de Los Animales de Tenerife and meaning "helping hands for the animals of Tenerife", this sanctuary is a relatively new endeavour on the island. Another German-run establishment, it, as yet, only has capacity for some 20 dogs and up to 50 cats. At the sanctuary, you can take an animal to give it a loving home, or help an animal get to Germany or other European country where there is someone waiting to adopt it, by letting it accompany you on your flight. Animals are also available for sponsorship (the yearly fee is very reasonable). Situated in the small village of Charco del Pino, just southwest of Granadilla, you need to take the TF-28 road out of Granadilla. Watch out for a picturesque, white church set back from the road on the left and take the fork in the road to the left immediately after it. This is Calle de La Montaña and you'll find MADAT along this narrow street. The name of this organisation means "Association Saint Francis of the Animals", the "Saint Francis" being Francis of Assisi, presumably. This saint was known as being a friend to the animals and this is what the people who founded this organisation hope to be, too. Started in 1999 by people who were concerned about the plight of abandoned and stray animals in the south of the island, this organisation has expanded sufficiently to now encompass the western area of Santiago del Teide. They are not possessed of sufficient funds to have their own kennels, so dogs are actually fostered in their members' homes! Their prime directive is to rehouse their animals, if not in Tenerife, then transported to any European country that has a loving family willing to accept them. They rely solely on donations, so why not visit their website and help them out. This is a Spanish-run refuge, based in the north of the island. Established for around 30 years, this has also suffered the trauma of being evicted from premises. Previously, the refuge was situated in Puerto de La Cruz, only 100 metres from the famous Loro Park. As recently as 2008, they were evicted from the premises, resulting in the dogs being temporarily farmed out to other shelters, volunteers and the North Tenerife Veterinary Hospital. 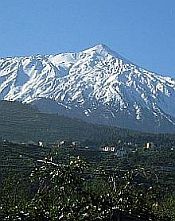 After a period of six months, a new refuge was established, in La Orotava. This International Animal Shelter is dedicated to collecting stray dogs that may be injured or starving, helping them towards recovery and placing them in a loving home. As always, the organisation relies heavily on donations. From the TF-5 north motorway, exit at junction 33 (sign for La Orotava). At the big roundabout, take the exit signed "Los Realejos, Icod" (it's as if you're going back onto the motorway). From the north, this is the second exit; from the south, the fourth. Before the slip road takes you back on the motorway, take the small road that branches off from it. You should then pass a restaurant called Los Perales on your right. Take the next turning to your right, which is Carmino San Bartolome. The refuge is along there, on the right. As always, this refuge relies on donations and for people taking their animals and offering them a loving home environment. I'm not sure where this refuge is, but I suspect it's in the north somewhere. Tierschutzverein is German for "animal protection society" and APRAM is an acronym for Asociacion Protectora de Animal Madruga, or "protective association of animal madruga". This animal sanctuary is a branch of a German organisation and, looking on their website, you'll see what beautiful, spacious, clean kennels they have. Their canine guests are well treated, receiving medication and veterinary treatment and the organisation supports the neutering of dogs, to keep down the stray population. There is also a scheme to repatriate dogs to welcoming homes elsewhere in Europe. From the start point of Tacoronte (which itself can be reached from the TF-5 motorway), take the TF-16 road north. You're heading for the village of San Jeronimo los Perales. You should watch out carefully for a restaurant on the left, set back from the road, called Quinta Crespo. You're not far! The road then bends to the left and, a bit further along, you'll come to a narrow road, off to the left (just after a big blue sign by the roadside, advertising "Caja Canarias". Turn down there (Calle Barranco San Juan) and presently, you'll arrive at some nice white buildings on your right. You'll be able to see the sign on the wall: APRAM. "APANOT" stands for Asociación Protectora de Animales del Noroeste de Tenerife, which means "Association for the protection of animals of northwest Tenerife". Begun by a lady named Karmen, it was her love of animals that led her to inaugurate this animal shelter, dedicated to help and protect animals in need. Today, she offers safe shelter to up to 85 dogs and 30 cats. The refuge, as always, is in need of voluntary help, whether it be financial, or taking part in the running of the place. This refuge is near the village of Llanito de Perera, which is not far from Icod de Los Vinos which is not far from the main TF-362 road, which branches off the TF-5 motorway. How to actually get there is quite complicated, but there is a detailed map on the website. "Poochies Pet Hotel" is not strictly an animal shelter. As its name implies, it provides a service for looking after animals while their owners have to go somewhere. But Pete and Kate, who run the hotel, do their bit to help find homes for abandoned dogs by regularly taking in some of them, cleaning them up, grooming them, ridding them of such things as worms and fleas, affecting such a transformation that prospective owners should be clamouring to take them. You leave the TF-1 motorway at junction 49 (Chimiche, El Rio) and take the road towards Chimiche. This road takes you through this village and you eventually come to a crossroads with a sign saying, amongst other things, El Rio to the right, on TF-28. Take this road and follow its winding route all the way to El Rio. Once in this village, watch out for a road sign declaring, amongst other things, Autopista and San Bartolome. Just after this, there's a large, pink building on the right. The road then bends to the left and, round this bend, you'll see, on your left, a clothes shop called Adelina Modas. Take the left turn immediately after this shop and, on this road (Calle San Bartolome), you'll be passing a church on the right. Stick to this narrow road, which will eventually take you up into the countryside. It keeps climbing, with a lot of twists and turns and you should keep an eye out for a red-roofed building on the right with the name Finca del Dragon on its wall. You need to take the next right turn after this, which will be signed as a dead end. Keep on this road (by now, you'll have superb views of the sea) and, eventually, you'll see a smart white building with a red roof on the right. That's the hotel...phew!